We are local to So. California. 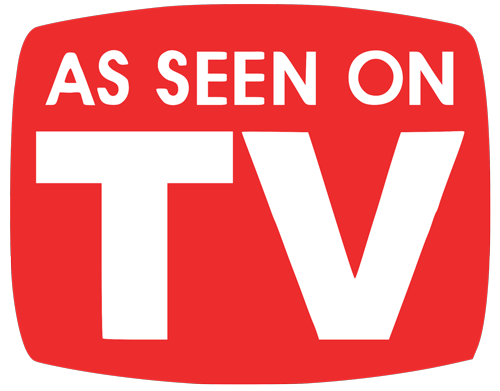 We are the walk-in bathtub specialists and installers -and- a local show room; who works specifically in San Diego, Escondido, San Jacinto, Hemet, Palm Springs, Oceanside, Orange County, Riverside, Temecula, Murietta, Irvine, and Chula Vista. 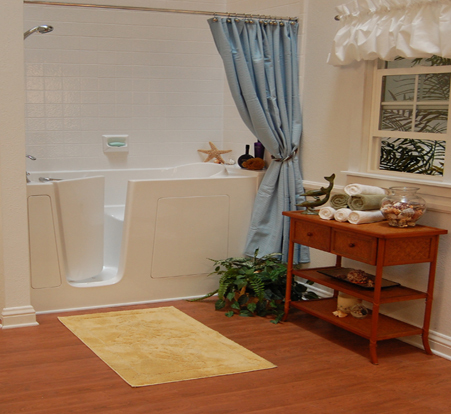 Give us a call now to see how Perfect Walk-in Bathtubs can help you! Why climb into a tub when you can walk in? A walk-in bathtub will change your lifestyle with our walk-in bathtubs, you will never have to worry about the high wall of your old tub. 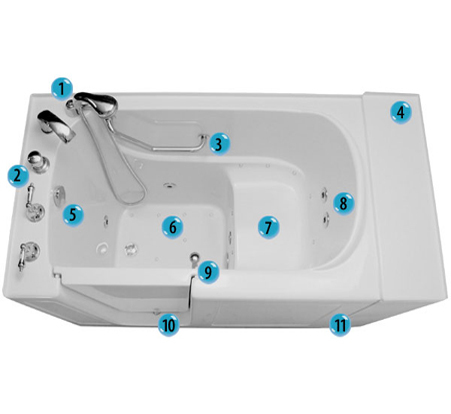 Find out how to improve your lifestyle with our premier line of walk-in bathtubs. All of our walk-in tubs are custom built to your specifications, and include custom jetting at no extra cost! Call for more details! The Safe-T Drain is a high speed drain capable of draining your tub in up to 85 seconds!! Best of all, its fully certified and meets all plumbing codes. Don’t be taken advantage of by other non-certified drains. The standard five piece high capacity faucet is capable of filling your walk in tub in 4-6 minutes, with up to 18 gallons per minute at 60 psi. 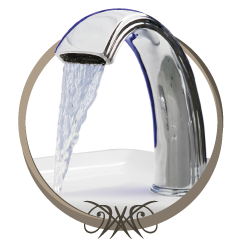 Every faucet set is backed by a lifetime factory warranty. 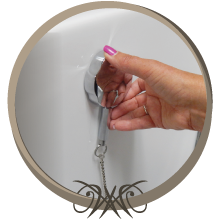 Each faucet also includes an extendable hand shower that is mounted on the deck of the tub. (Also available in upgraded color packages). We can place water jets just about where ever you like. Our team will help you design your Hydro or Dual Massage system with up to 12 water jets with custom jet placement. Call Right Now For A $1,000 Rebate: 619-357-4113 Right Now! Not only can you now have a safe bathroom environment, you can enjoy the absolute comfort, relaxation, and pain relief as often as you like. 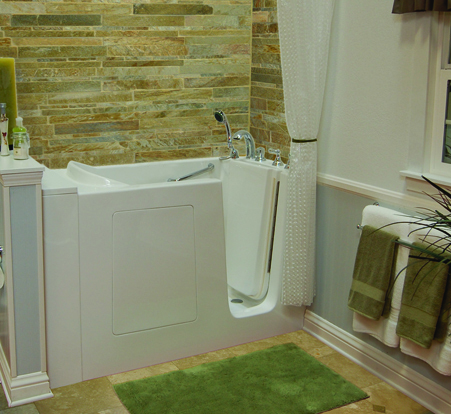 Unlike ordinary bathtubs, Perfect Walk-in Bath Tubs removes the problem of stepping over a high rim. Our doors allow you to enter and exit the tub with ease. This provides for worry-free, safe bathing. We want you to relax and have peace of mind. You shouldn’t have to experience discomfort or risk to take a bath. That is why our easy-to-use door was invented. Simply walk in and sit down. For those in need of therapeutic treatments, our walk-in tub provides the soothing waters necessary to increase blood circulation and mobility. 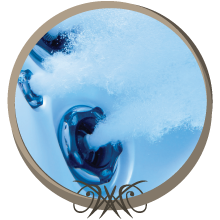 We are committed to improving your quality of life and a first-rate bath is an easy way to revitalize the body. 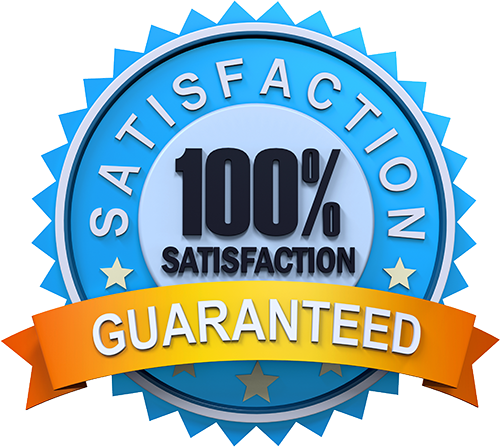 Therapy Tubs takes pride in our product because we believe it directly impacts and promotes health. Perfect Walk-in Bath Tubs relies on the finest materials in the business and is crafted in the United States of America. We are committed to quality and to producing a first-rate product. 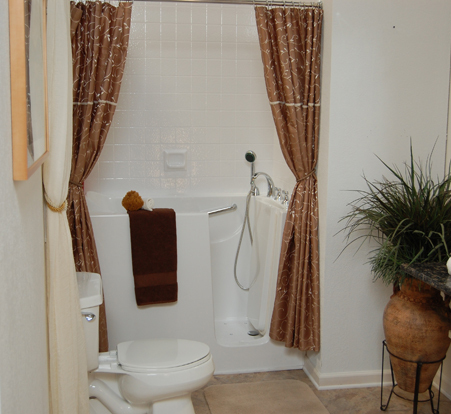 Not only is our walk-in tub convenient and therapeutic, it looks fantastic. Our hardware and features create an elegant look in the bathroom. We believe that our product can serve a functional purpose as well as increase the aesthetic appeal of your bathroom. 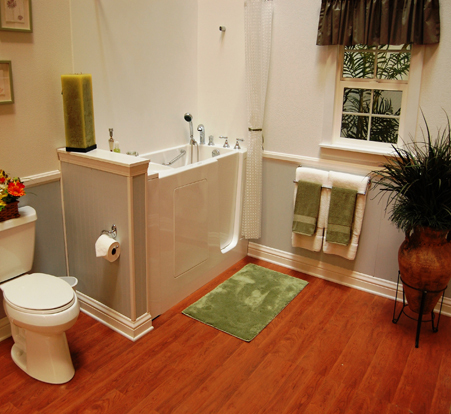 With Perfect Walk-In Bath Tubs, you’ll feel great and your bathroom will look great.